The Shrimps head to Boundary Park, looking to follow up Saturday’s 1-0 win at Port Vale. 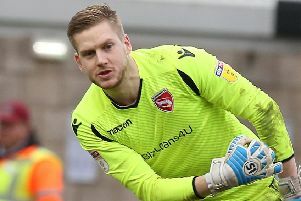 Aaron Collins’ debut goal gave Morecambe their first win of the year and moved them up to 21st in the table, three points clear of the relegation places. Last Saturday’s match at Vale Park and this evening’s encounter mean Bentley has come up against two new managers in the last four days. John Askey recently took charge of Vale while Paul Scholes was unveiled as Oldham boss last week. As Bentley admitted, those appointments have caused a change to his thinking with different managers favouring their own approach to games. 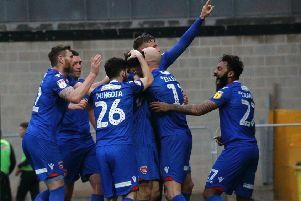 He said: “Every team at the level does have good players and we need to make sure we look after whichever system they play under the new manager. “Oldham will be strong; I went to the game last Tuesday (against Yeovil Town) with a new manager and his first game. “It was the same players with people like Jose Baxter and Callum Lang, who we know well but we know where the strengths and weaknesses lie. “We will have to see what’s thrown up but that’s why you need to be adaptable. “If it doesn’t work, you need to shift to something else to give you a better chance and that’s why we have to be on our toes.